u mean BiG 0-3 MiBR 3-1? Where is the trophy of this “tournament”? 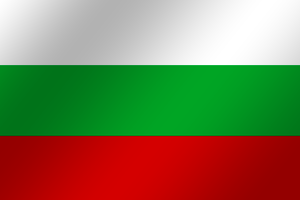 Odds good enough for Bulgaria to throw after winning WESG. EZ 2-0 BIG. 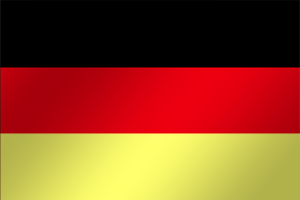 How can any none-german person think that BIG will make it ? windigo probably still high after their victory. "nex goes beast mode while BIG squeeze past Windigo"
ach wird das heute wieder einfach für die professionelle deutsche elektronische-Sport-Organisation Berlin International Gaming bestehend aus dem Weltklasseansager Fatih "gob b" Dayik, Talentspieler Johannes "nex" Maget, Gewehrspezialist Tizian "tiziaN" Feldbusch, Top-22-Spieler Johannes "tabseN" Wodarz & dem verrückten Schützen Ismailcan 'XANTARES' Dörtkardeş von der deutschen elektronische-Sport-Organisation Berlin International Gaming aus dem mitteleuropäischen Land Deutschland. not for those who is not on top of the scene. score bot ? you okay ? lol? why wouldn't they? you're the least competitive person in history if you stop caring about other major LANs because you won a single one. Exactly, people think they grab the trophy and fly home with a bag full of money. Reality is that it takes about 6 months for WESG to payout anything and then probably a few weeks more for Windigo Finance to split the Cake. What's up with the streams... Hellooo?! "Lets play overpass and we will see what will be next"
yup was on nrg -3.5 m2 and kscerato dropped 50 frags pretty lucky right? i can take xantares on mm servers. he has a nova aim. worst aimer in cs go history. i just think xantares needs a lot of time and he will get it. Gratz, your country has very good awpers :) I like these players, even more after they beat MIBR. 1. Windigo removed Cache 2. BIG removed Nuke 3. Windigo removed Overpass 4. BIG removed Dust2 5. Windigo removed Mirage 6. BIG removed Train 7. Inferno was left over So what they are playing only Inferno in bo3? xantares have a erection problem with his gf. hehas nova aim. 3-1 to 3-12 nice play gipsies Somehow they won mibr ???? he left? i thought they didnt want him to leave. Smooya should come back, this is sad to watch. windigo are wesg champions. it is only normal that BIG are losing. 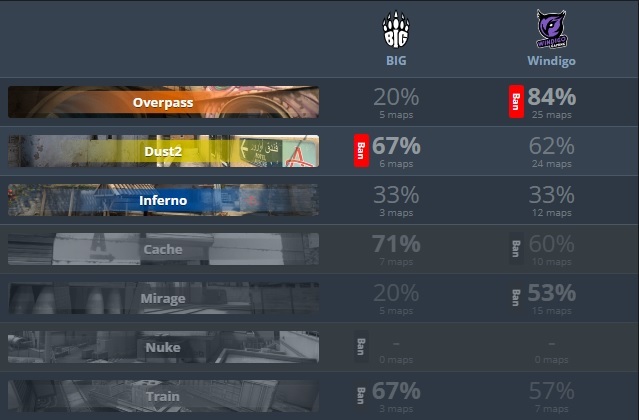 Are BIG the number 1 choker team in CS GO ? :) sure they are bro! no smooya no party. disband this bots. sorry big i bet on you thats why you lose. Genuinely impressed that no one figured out windigo's vetos yet. Their opponents literally pick maps for them.